Lethbridge, AB – Six athletes from Alberta Sport Development Centre Southwest’s (ASDC SW) Athlete Enhancement Program (AEP) are set to compete this month at the Alberta Winter Games hosted by the Regional Municipality of Wood Buffalo. Athletes Jasmine Belisle (Speed Skating), Brynly Gross (Figure Skating), Kai Ichikawa (Badminton), Madison Martin (Figure Skating), Aiden Sander (Badminton), Charlotte Vanden Elzen (Volleyball) and ASDC SW Centre Coordinator Joshua Hoetmer (Chef de Mission) will represent Zone 1 February 16th to 19th in Fort McMurray. Over 2800 athletes and coaches will compete in 24 different sports at this years Alberta Winter Games. 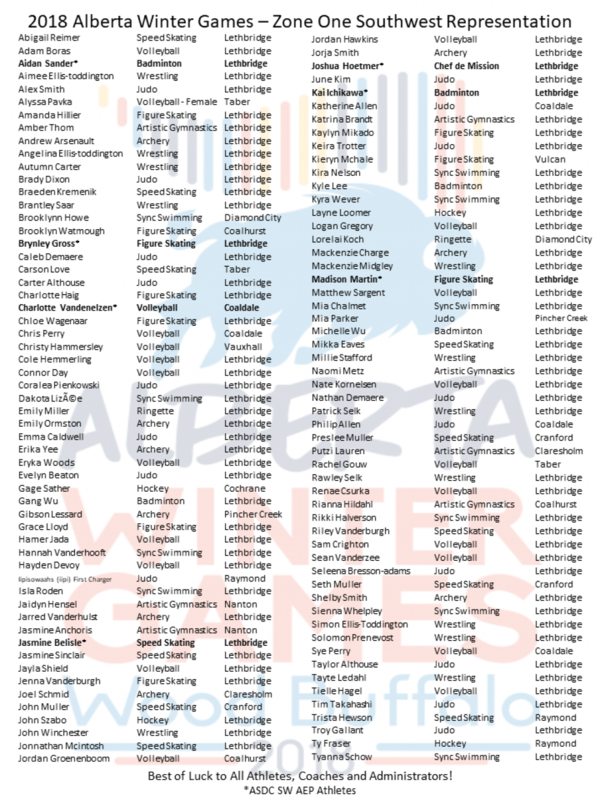 The Alberta Winter Games has produced over 40 athletes that have gone on to represent Canada at the Olympic Games. Since 2009, AEP has provided strength and conditioning training with sports science seminars to approximately 200 selected athletes from Lethbridge and local communities. This government funded program is geared towards the development of elite athletes without athletes leaving home to get the elite training and resources needed to succeed. 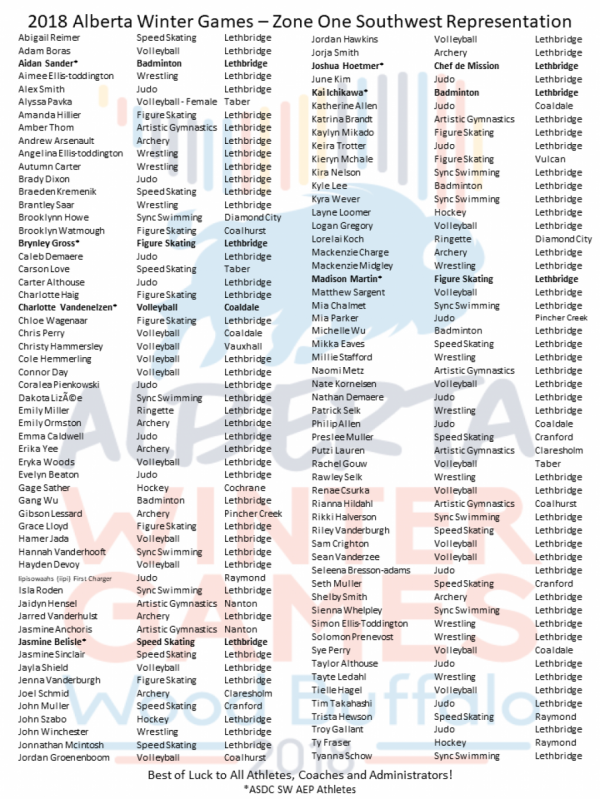 ASDC SW wishes all Zone 1 athletes the best of luck at this year’s Alberta Winter Games. For more information about ASDC SW programs and services, including AEP, visit asdcsw.ca.